Concentric pumps are the market leader and benchmark in lubrication, cooling and fuel pumps for medium and heavy-duty diesel engines, transmissions and compressors. Our variable flow pumps are among a range of technologies that enable engine manufacturers to reduce parasitic losses dramatically, improve fuel economy and meet escalating emission standards. Concentric custom designs products for each specific application and even conventional pumps can deliver up to 20% more efficiency. This is achieved by engineers who draw on empirical data and expertise accumulated over decades to ensure that every product works straight out of the box, while global manufacturing and sales support delivers first-world engineering and technology in every plant round the world. Concentric also offers other innovative energy-saving technologies such as the Varivent EGR venturi pump and the Alfdex oil mist separator. 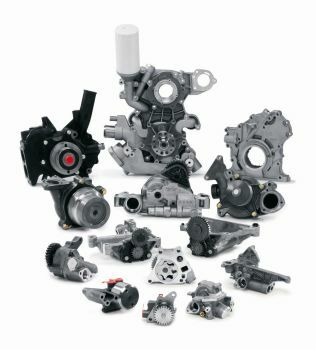 Like the Concentric variable flow oil and coolant pumps, these new products offer engine manufacturers a significant advance in fuel efficiency and environmental protection.